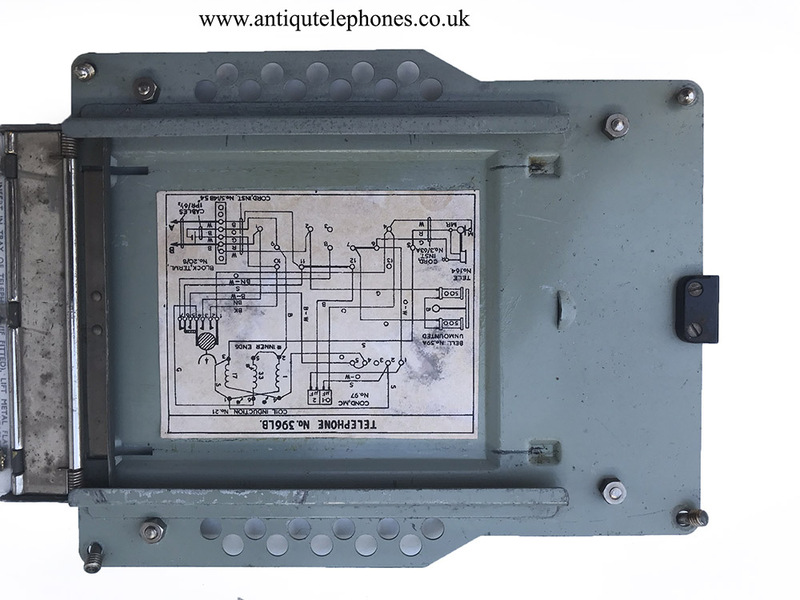 This is a rare chance to own a piece of war time British history. 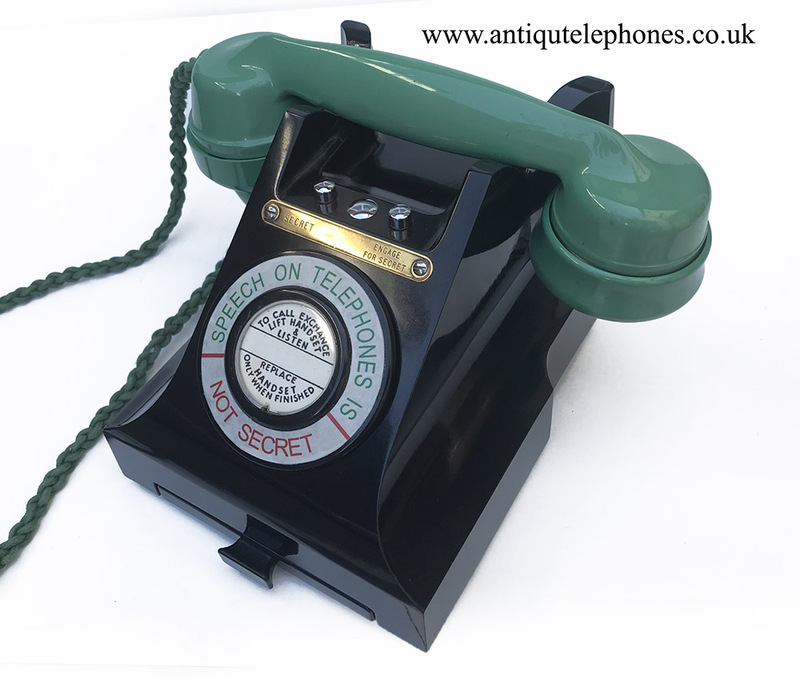 This is a war time model and very hard to find. 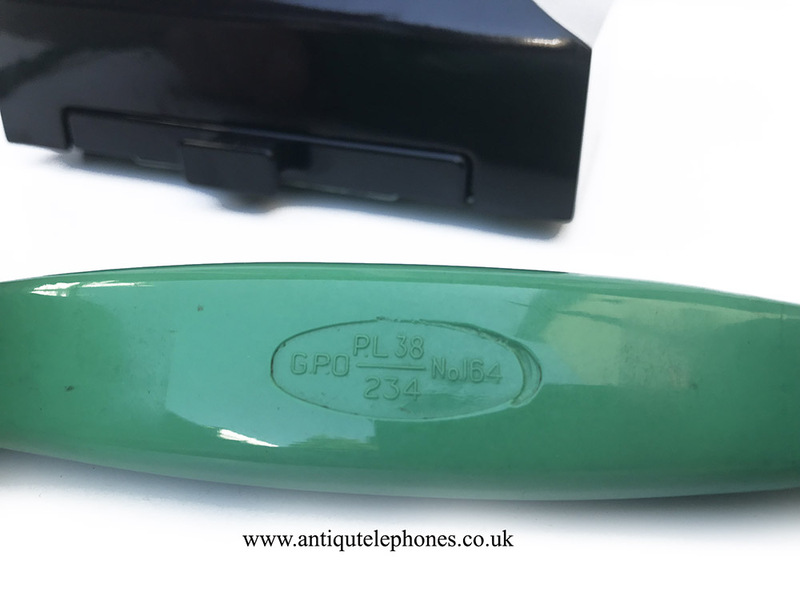 Diakon green handset dated 1938 as is the chassis. 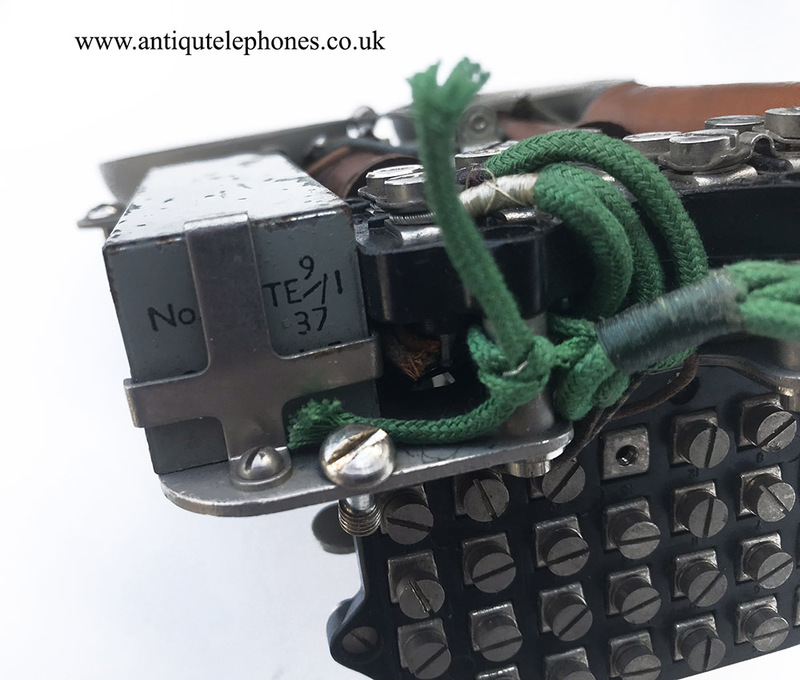 This is a collectors telephone and is not wired to work. 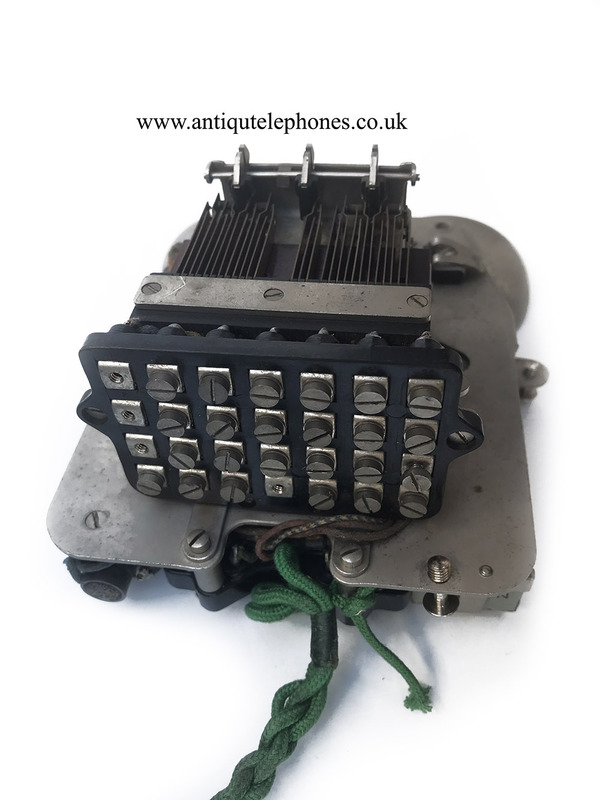 It is dated 1938 on the handset and chassis. 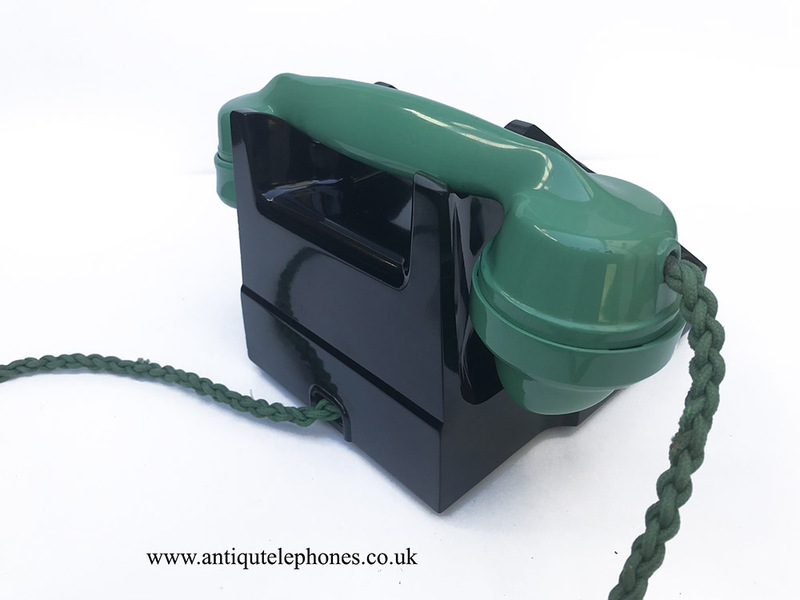 It has an original good used condition green plaided handset cord. 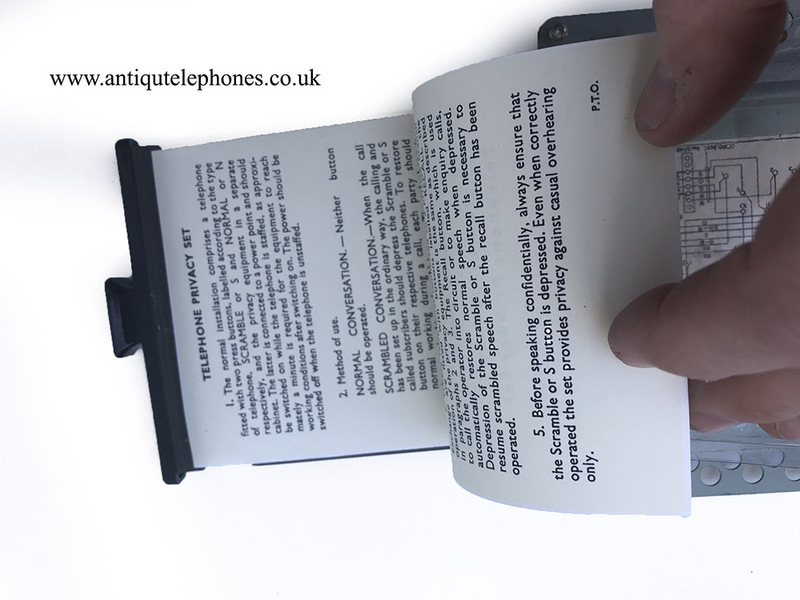 This is not for use and has no line in cord or block. 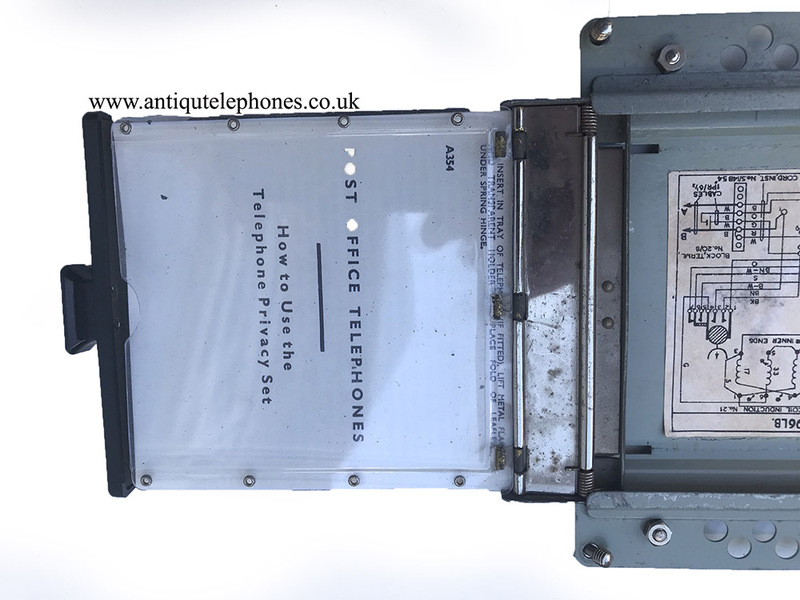 The dial label and writing around the CB plate is a copy as is the drawer information but the telephone is genuine. 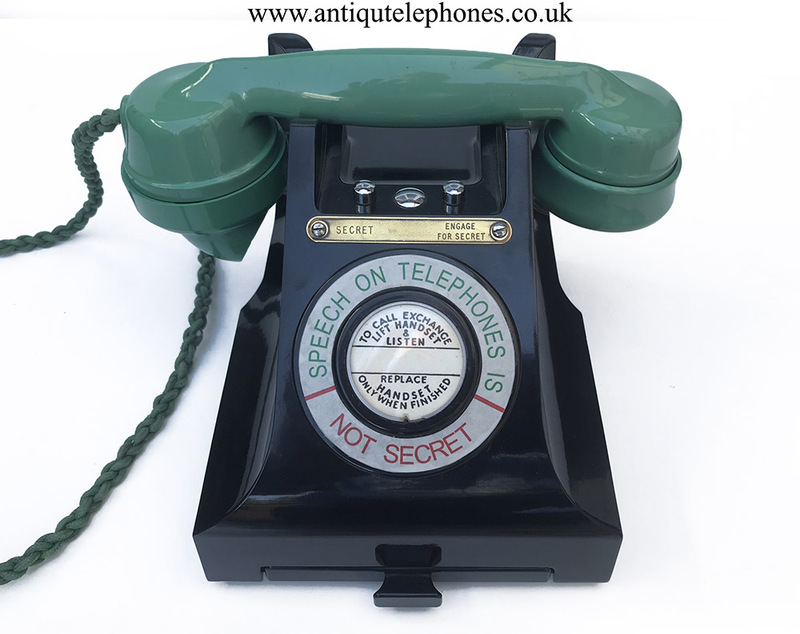 This model can be seen in the cabinet war rooms and were used to keep speech secret between telephones. 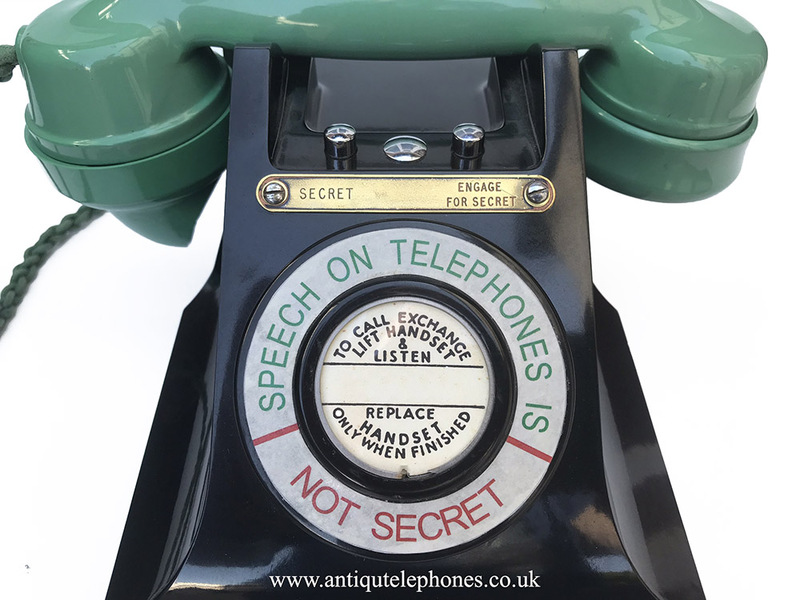 Both telephone at each end would have been connected to a huge suitcase size box full of valves and electronics to scramble and decode the speech at each end. 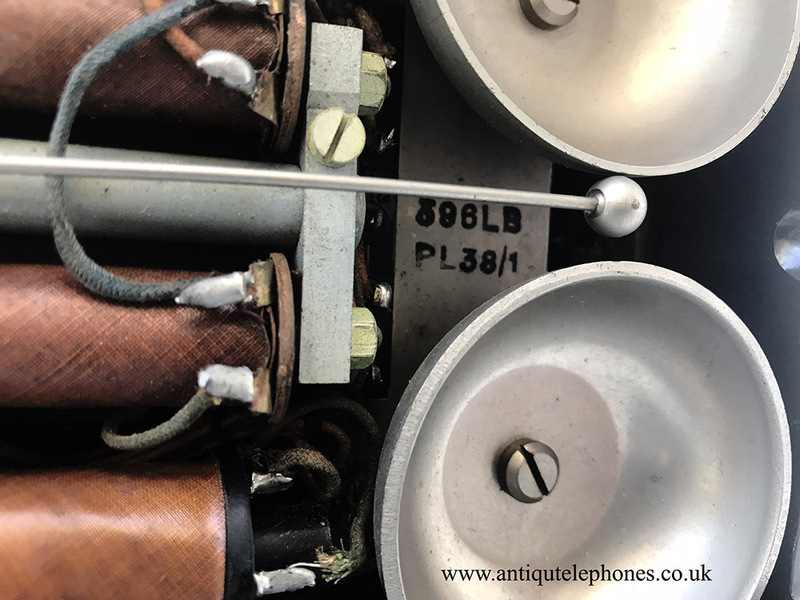 Not supplied. 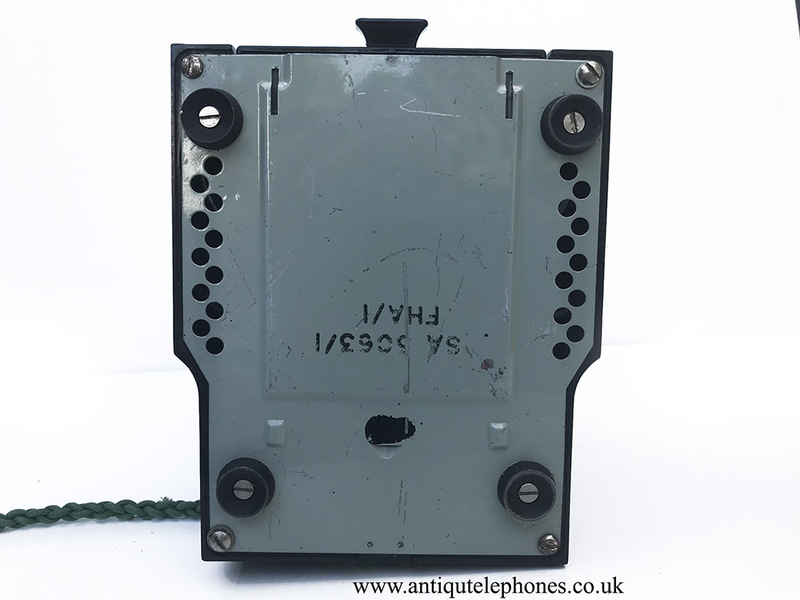 A real collectors piece and very rare to find war time models. 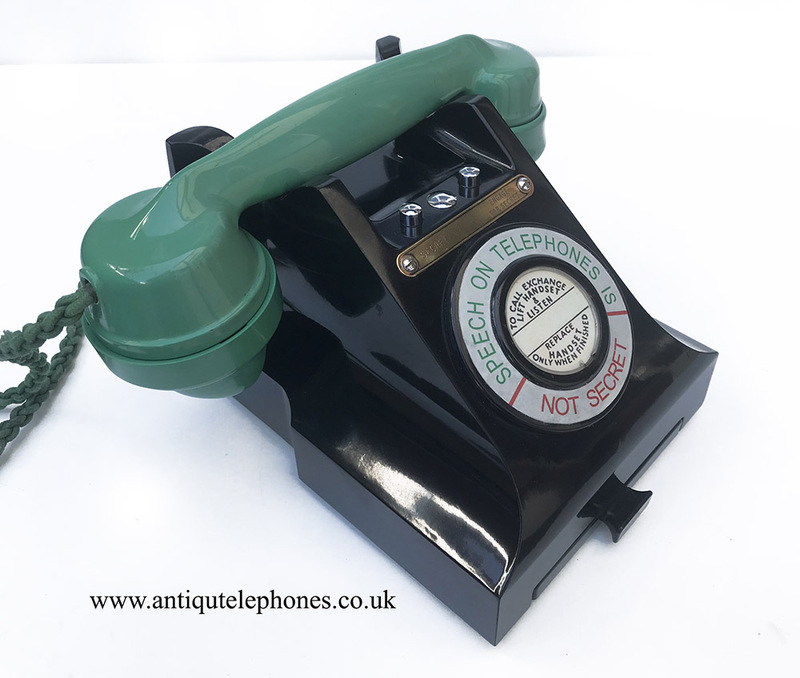 This has a genuine 1938 Diakon green handset not painted. 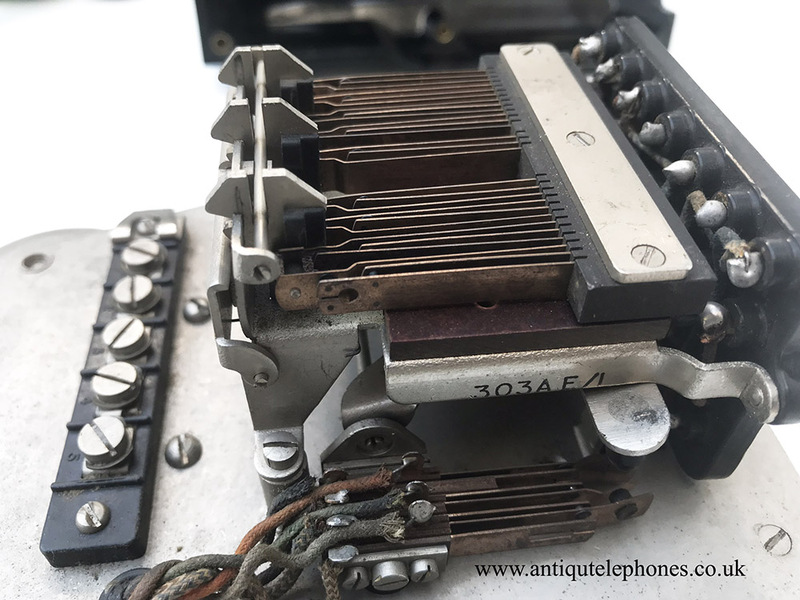 Note the special internal switch block with many terminals.